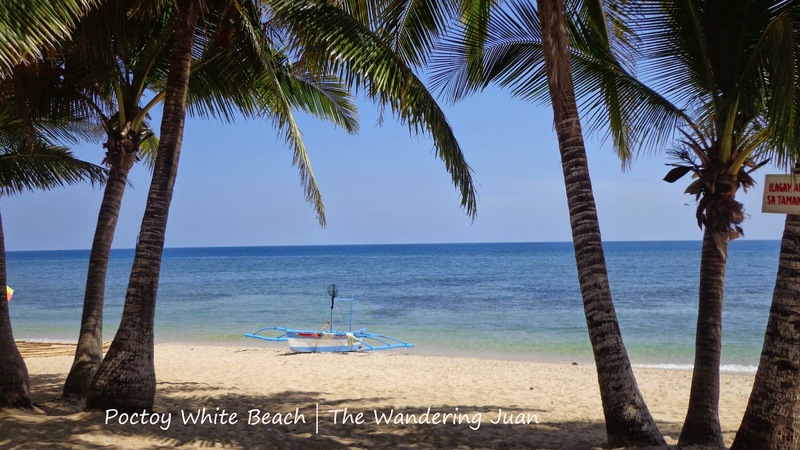 Like many islands in the Philippines, Marinduque has its own white beach. I managed to visit this beautiful place during my trip to the island province. 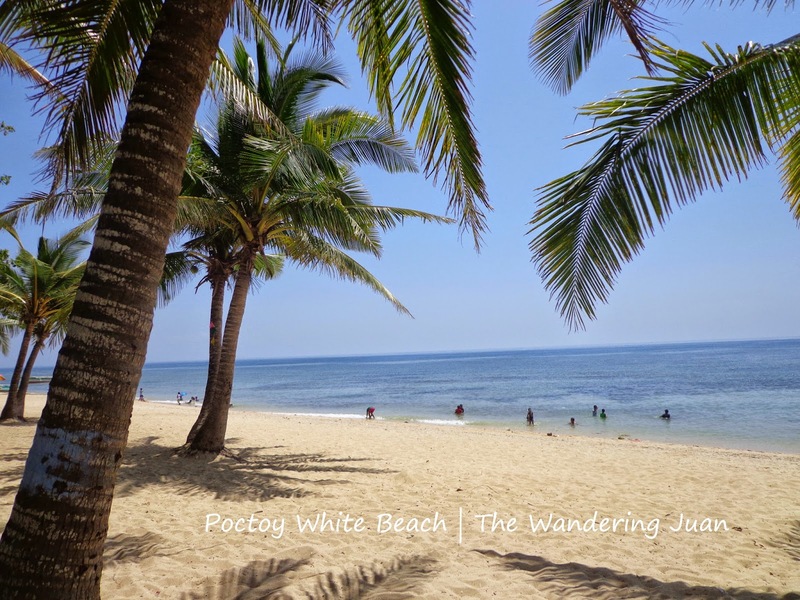 Marinduque is famous for the Moriones Festival held every Holy Week, but there are other things to do on the island one of them is visiting Poctoy White Beach. 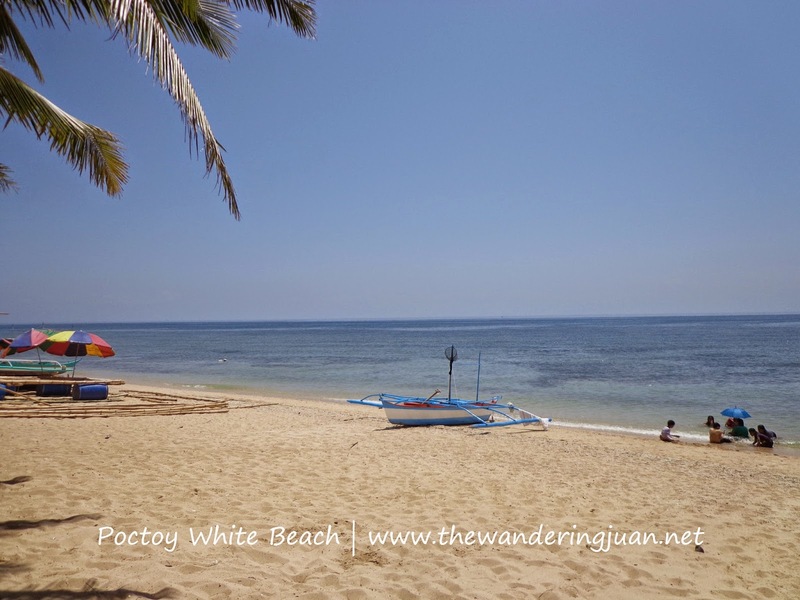 There are other better beaches in the country, but Poctoy Beach is beautiful in its own way. 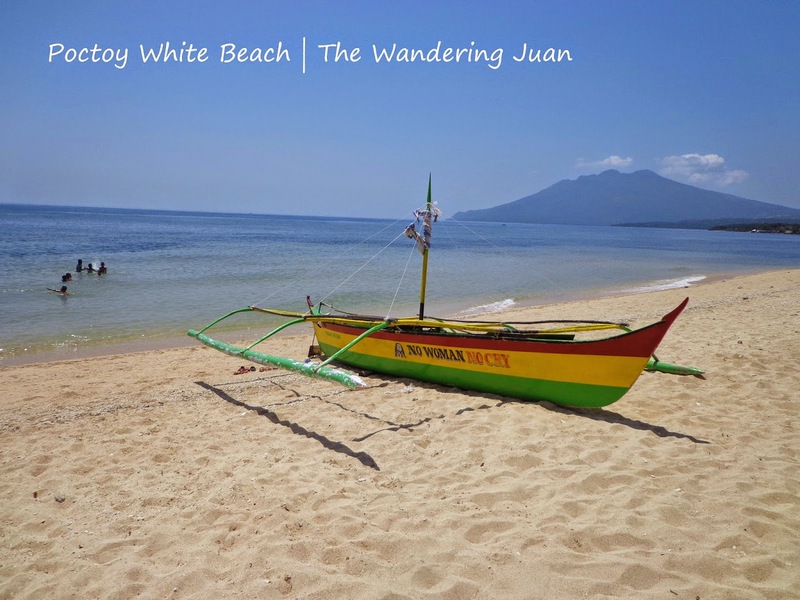 The fine, white sand gently squeezed between my toes as I walked along the shoreline. The beach isn't long, but it is quite cozy, with the cool breeze blowing and the calm waters inviting you for a swim. There were groups of locals lounging around and swimming on the beach. There are quite a few establishments that offer lodging and food for intrepid travelers. Thankfully, there wasn't much going on when I visited. I've heard that this beach gets pretty crowded during peak season, especially during Holy Week, when most Filipinos are on long vacations over the weekend. It was the perfect time to relax, kick back, and enjoy the beach. The clear, bluish waters and the swaying leaves of the trees were picture perfect. I decided against staying the night in Poctoy because I couldn't find a room cheap enough for one person to stay the night. If you're traveling with a group, it is better to spend at least a night by the beach. If you are coming from Boac, ride a jeep to Sta. Cruz for around P40-P50 one way then ride another jeep heading to Torrijos for another P40-P50 one way. The whole trip to Poctoy from Boac might take more than 2 hours because of the distance and the waiting time between stops. If you are coming from Balanacan Port, there are jeeps or vans heading to Torrijos as soon as you pass the gate. Poctoy White Beach has no entrance fee. 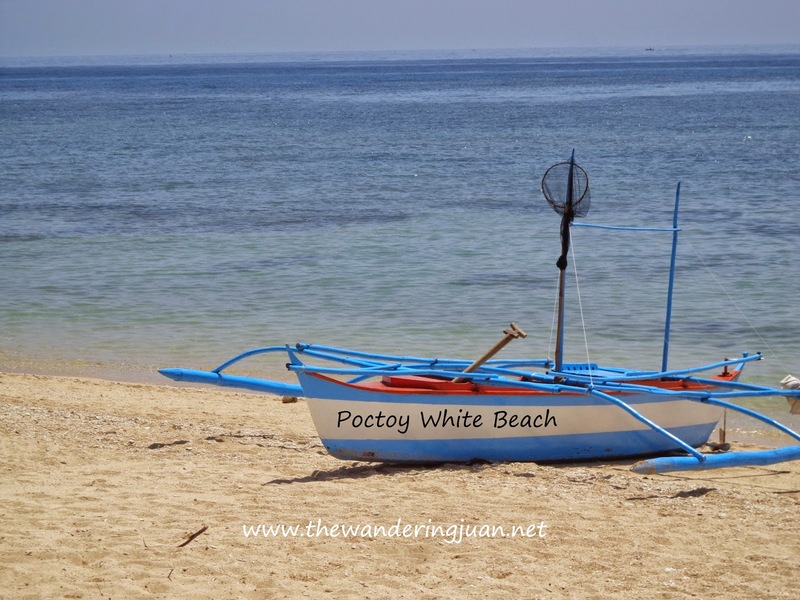 Will go on a solo travel sa Poctoy Beach sa katapusan or next month! I caaaaaan't wait hahhahah!